Is WordPress suitable for business websites? Is Your Businesses Website WordPress Suitable? Most people think of WordPress as a blogging platform but the truth is that it is a great CMS that can be used for business websites as well. In fact many large companies (including big publishing houses) like time.com, sony music, techcrunch, searchengineland and many more use WordPress to host their business websites and blogs. If you are still wondering which platform to use for your business website or start up, here are 10 reasons why you should use WordPress. WordPress is free to download and install on your server. The only cost you will have to pay is for the hosting package you will choose (WordPress works great on VPS). Other than that you may need to pay for developer or designer services to customize the look’n’feel of your website. Out of the box WordPress has the all the functionality you need to create powerful websites of all kinds, with integrated user management system. One of the things that can become a burden for most companies is upgrading their software, especially if the software is based on old technology. 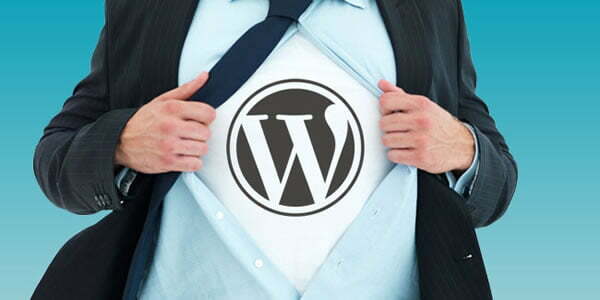 One of the main advantages of WordPress is that it is easy to upgrade without worrying too much about breaking your website or the time needed to perform the upgrade. The backup is also easy so you have a way to return to the previous version in case something goes wrong. Another important consideration before deciding on the software to buy or use is security. With WordPress it is easy to enforce your security policy either regarding user account management or restricting access to the directories and files of WordPress so as to keep hackers away. You can also read: Best way to secure a WordPress blog. Nowadays search engine optimization is more important than ever and it is necessary the platform you choose to be SEO friendly. WordPress is recognized by industry experts as one of the SEO friendly platforms and businesses that run WordPress have a lot to gain from this advantage. The way the posts and pages are structured and the different configuration options make it easy for SEO’s to make your business website friendly to both search engines and users. Suggested Reading: Basic SEO Tips for business owners. When your business grows, WordPress can grow with you. If VPS hosting is not enough for you, no problem, you can move WordPress to a dedicated server or to its own server farm. There are no restrictions or limitations on how to scale out your WordPress installation. Also, another important factor to consider these days is website load speed as faster websites provide businesses with better SEO, more sales and returning customers. WordPress is doing a great job in this manner as the code is optimized for speed and performance out of the box. You get free migrations and backups when you choose a reseller hosting package from KnownHost. If everyone in your company is familiar with Microsoft Office and Word then they can use WordPress with the same ease. WordPress was designed for the native user in mind and it is one of the easiest CMS to use. Want more functionality from WordPress? Is there a function or service that is missing? No worries, there are hundreds of plugins (both free and paid) that can extend the functionality of WordPress in a fast and easy way. Even though there are ready made solutions (plugins) for everything you may need to do on WordPress, there might be cases where you want custom development and this is another advantage of WordPress. There are so many PHP developers on the market and this means that you can get what you want fast and in a very good price. There are thousands of new WordPress installations per month and this is because it is a good and reliable system otherwise it would not receive the trust of all those users and website owners. According to a study, WordPress is the top blogging platform but also is the top choice for CMS. Once you start working with WordPress you will understand what we mean by saying ‘it’s WordPress’. The simplicity, rich functionality and effectiveness of the platform is what makes people appreciate its benefits especially if they had bad experiences with other commercial business platforms. If you are looking for a platform to use for your next business website, WordPress is your best choice. It is easy to use and manage, it is low cost and flexible and it can give you all the features you would expect to find in a modern CMS platform. Thanks for sharing this great article. I like all the points you’ve mentioned here. I always prefer WordPress because it is every easy to use and I don’t need to be expert in coding.